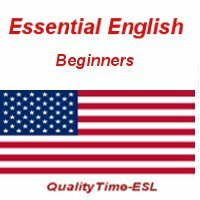 Essential English 06 "Please & Thank You"
First the students learn the expressions "please" and "thank you". It is always best to give new words in the students’ native tongue to avoid any misunderstandings. In pair work they practice "please" with the different verbs they know already help, show, guide and explain to me/you, testing each other. One student says a verb, and the other asks the question, "Please can you help/show/guide/explain to me?" Next they do a question and answer practice with one student saying, "Please can you help, show, guide or explain to me?" and the other answering "Yes, I can help, show, guide or explain to you." They walk around using this question and this answer with their different classmates. Then you remind them that they have already said what they can do well, e.g., "I can sing," "I can dance," "I can make cakes," etc. They practice using "Please can you help me to… sing/dance / make cakes?" or whatever they are good at. And the partner should reply, "Yes, I can help you to… sing/dance/make cakes," etc. The last routine is for each student to say, "Yes, I can help you to…" and hear a partner say, "Thank you for helping me to… sing/dance/make cakes," etc. "Please can you help me to…?" This is an opportunity to introduce "You are welcome." Be sure to give them time to practice in pairs before they perform in front of the class/group. Remember to have the students speak to each other with each pair communicating at the same time as the others and not just to you, the teacher, one at a time. The only exception should be the performance at the end, which should bring laughter. You can even have the others applaud each performance. Extra tip: be sure the students switch pairs very often until everyone has worked with everyone else several times.